With the UAV/UAS industry skyrocketing, drone operators are quickly finding themselves in need of liability coverage. While many insurance companies have developed policies to protect this ever-growing commercial industry, there has been lack in coverage for those providing UAV instruction…until now. 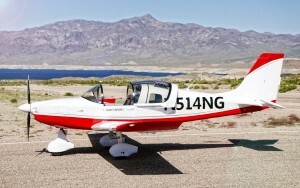 The Society of Aviation and Flight Educators, or SAFE, focuses on “fostering professionalism and excellence in aviation through continuing education, professional standards, and accreditation.” Through their exclusive partnership with Starr Aviation and Aviation Insurance Resources (AIR), the SAFE Certified Flight Instructor (CFI) policy now extends coverage to the liability for negligent instruction, property damage, bodily injury and use of a non-owned drone. The SAFE CFI policy includes coverage for piston powered single and multi-engine land or sea aircraft having a standard, experimental, restricted or light sport aircraft certificate. The recent extension to include UAVs makes the SAFE CFI policy the most extensive flight instruction policy on the market! As the UAV industry continues to flourish, AIR will keep up to date with the latest industry trends and operator needs. To apply for a SAFE CFI policy click here today! If you own a UAV business, you may also request a UAV insurance quote online! To speak with one of our aviation insurance experts, please call us toll free at 877-247-7767. Overcast skies did not subdue the excited pilots and exhibitors at the Midwest Sport Aviation Expo in Mt. Vernon, Illinois last weekend. As in years past, this free event welcomed aviation enthusiasts from around the nation to discover the latest the sport aviation industry has to offer. To Aviation Insurance Resources (AIR) agent, Gregg Ellsworth, the Sling aircraft created the biggest draw. Granted, Gregg’s opinion may be a bit biased as he quickly found himself strapped inside the Sling, enjoying the fresh breeze with the canopy pulled back, taxiing towards the runway. With the low ceiling, Gregg and instructor Andy Enos from Lapeer Flight Training in Lapeer MI, leveled off at 2,000 feet. Despite a chop in the air, Gregg performed steep turns and other maneuvers, finding the Sling to be sporty but stable and easy to fly. AIR was instrumental in making insurance available for many new LSA aircraft entering the market and quickly became a leading LSA insurer. With access to all the aviation insurance markets, AIR is able to obtain the lowest available rates without compromising coverage. AIR is the official insurer of Lapeer Flight Training as well as Sling Dealers Midwest Sky Sports and AeroSport, both who were in attendance at the expo with their respective Sling 2 aircraft. AIR provides a full range of aircraft insurance including other light sport aircraft such as the Flight Design, Czech Sportcruiser, CubCrafters, Evektor, Tecnam and more! AIR represents all of the major aviation insurance markets so we can offer you the broadest package of protection at the best available rates. For more information call 301-682-6200 or request a quote online today!